Margaritas in a ranch located at km 15.5 north from Cabo San Lucas, nestled in the desert of Baja California Sur. This is our departure spot for the adventure. 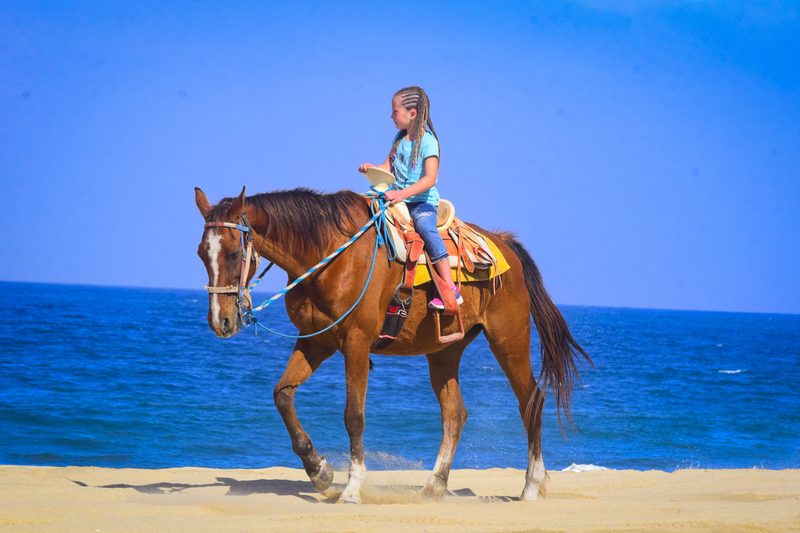 Enjoy a beautiful ride along the beach on the Pacific Ocean. Let the horses chase the water while having a relaxing time with family and friends. This is an informative and entertained tour with an experienced guide leading your way, he is very adaptive to any level experience, no matter if you are a first timer or an advanced rider.